St. Patrick’s Day, celebrated on March 17, is the namesake holiday of the patron saint of Ireland. Saint Patrick was born in Roman-ruled Britain in the fifth century and was brought to Ireland as a teenage slave. After escaping enslavement, Patrick Christianized Ireland’s people. He has many ties to Irish culture, including the shamrock, which he was believed to have used to explain the Christian concept of the Holy Trinity. While the Irish began observing the feast day about five centuries after Saint Patrick died, it wasn’t celebrated with any semblance of today’s celebrations until 1762, when Irish soldiers working for the English army held a parade in New York City to honor their background and kindle relationships with other Irish soldiers. As time passed, parades were held to promote the Irish immigrant community in America, which received negative attention from non-Irish-Americans at times. There were several groups who put on parades, many of which featured music played on bagpipes and drums. Starting in 1848, some of these groups joined together to create one large parade, which became known as the official New York City St. Patrick’s Day Parade. This is the world’s oldest civilian parade, as well as the largest parade in the United States. The New York parade, like many parades held for the holiday, highlights traditional Irish dancers and music. Several other cities in the U.S. have established their own St. Patrick’s Day parades, including Philadelphia and Chicago. 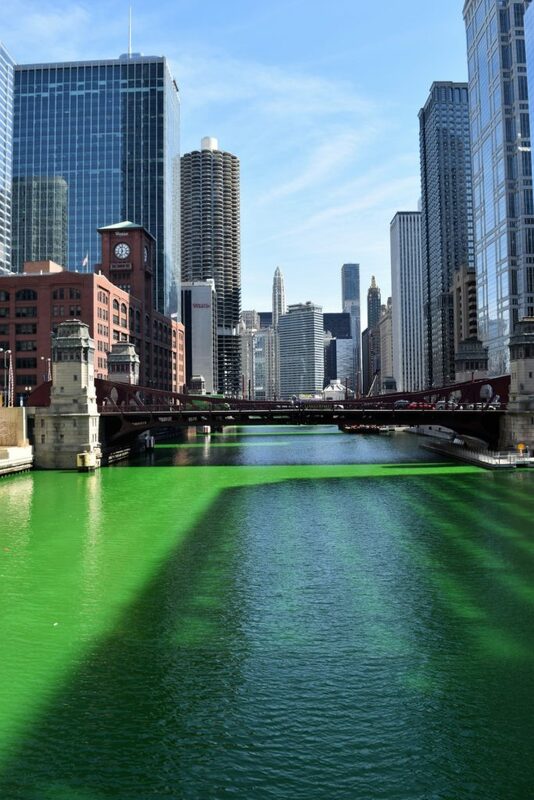 The latter even dyes the Chicago River green to show Irish pride. St. Patrick’s Day is now observed around the globe by many people, not just those of an Irish background. Most of those who celebrate are from the U.S., Canada or Australia, though countries such as Japan have been known to commemorate the holiday. Though one of the main festivities for the holiday includes copious amounts of drinking, Ireland observed the day as a religious event and legally kept bars closed, even into the second half of the 20th century. However, the Irish government decided to abandon this in 1995 in order to attract tourists and promote Irish culture. There is now a five-day celebration in Dublin that includes parades, fireworks and concerts. 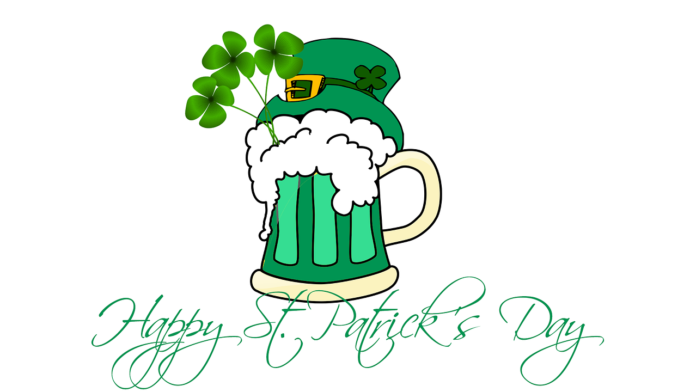 The holiday encompasses many different foods and drinks dyed green, including dyed beer, Irish potato candy and McDonald’s Shamrock Shake, most of which aren’t traditional in Ireland. For instance, one of the customary foods for the holiday was ham and cabbage, but poor Irish-American immigrants substituted less expensive corned beef for the ham. This new combination became an essential part of American celebrations. Other facets of St. Patrick’s Day revelries include wearing green, which is tied to leprechaun lore. According to myths, leprechauns like to pinch people. By wearing green, you become invisible to leprechauns and they are unable to pinch you. Some people even play on this myth by pinching their friends who forget to wear green on the holiday.